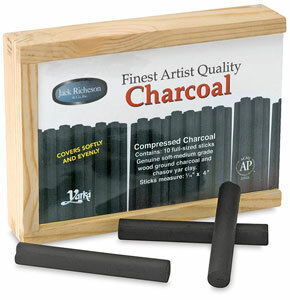 Two types: Willow-—medium-soft sticks, wooden box of 50. 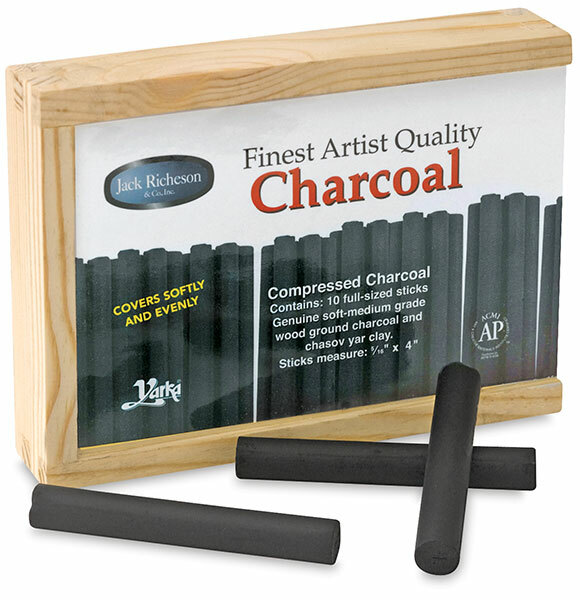 Pressed-—medium-soft sticks, wooden box of 10. Non-toxic. Approximately 2-5/8" long, with a 5/16" diameter. Medium-soft and non-toxic. Wooden box of 10.